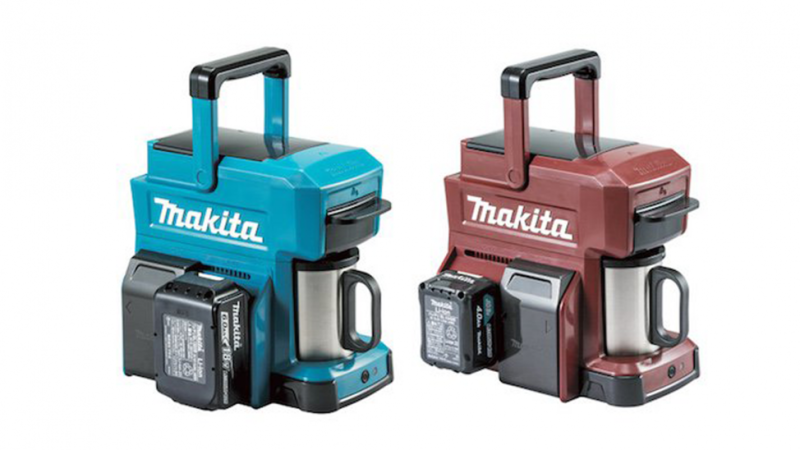 This tough and cool Makita power tool battery coffee maker is perfect for any workshop. It does look cool but it is also fun and easy to use. You can power it easily because it is designed to work with slide on lithium-ion Makita batteries. 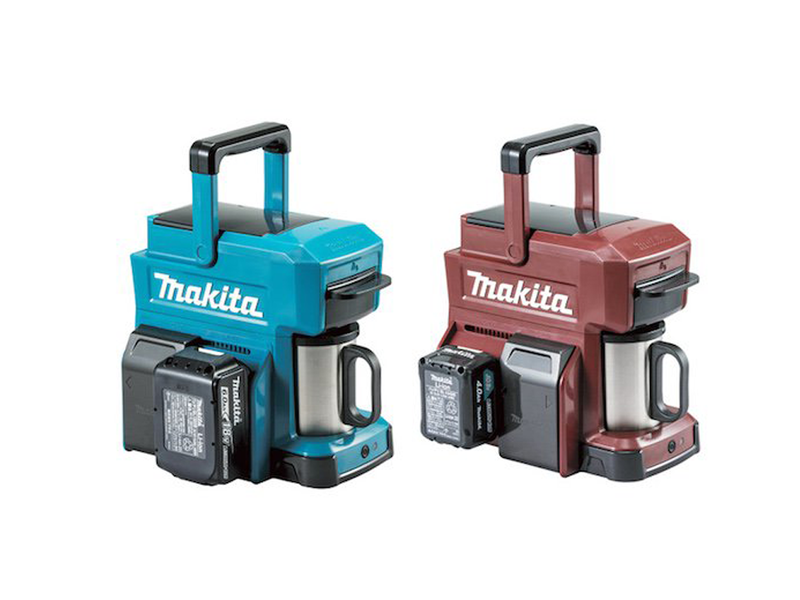 The Makita coffee maker can be powered using 18V, 14.4V, or 10.4V batteries. On a worksite where there are plenty of tools and batteries around this is very handy. You can make a coffee absolutely anywhere as long as you have a battery. The battery and the charger are not included with the coffee maker. This is a very versatile machine because you can use either ground coffee or coffee pods. Most coffee makers only allow you to use one or the other. It is cordless and completely portable. This is a great idea for a construction site because of the way it works. Because it is portable almost any tradesman or home handyman will find it very convenient. 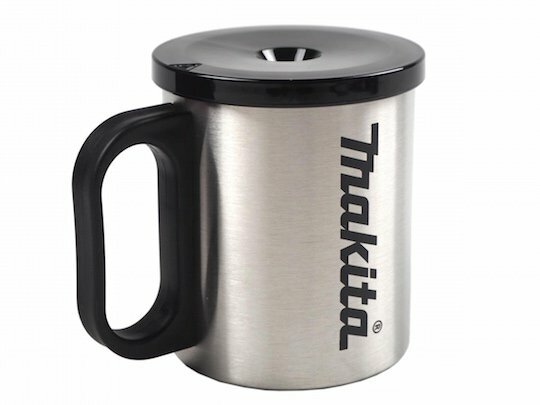 The fold up handle makes it easy to move around and it comes with a stainless steel mug. This is a wonderful gift idea for anyone who collects, uses or just likes Makita power tools. You can choose from either green or red depending on your preference. If you like this very cool coffee maker you might also like to check out the following.